The Wessex range is an elegant option for a mid-sized conservatory. 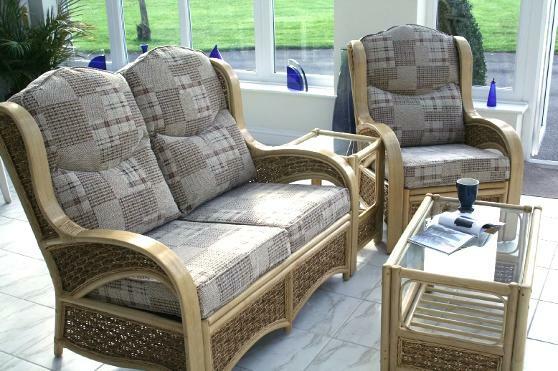 The Wessex is favoured for its smooth arms, which are formed from rattan poles fused together and planed down to form a comfortable and attractive flat surface. The arm designs are woven with a combination of rattan core and banana leaf rope. Available in either Natural or Walnut finish, with a choice of fabrics. Shown in Natural finish with Vogue Patchwork fabric.